If you’re in the market for a new mattress, there’s never been a better time to be a buyer. Online commerce has created a huge supply of premium mattress producers. While you used to be required to go to a mattress store, you can now head online and order a mattress directly to your house. Trial periods allow you to have risk-free time to assess if a mattress is right for you. Denver Mattress is a mattress company that has entered the mattress industry over the past few decades. Denver Mattress has been operating since the 1980s – it first started as a waterbed company. Fortunately for you, they now also make foam mattresses and hybrid mattresses. The company has developed several mattresses that have individual traits and characteristics. If you’re looking for a mattress provider that can offer you a range of different mattresses, the Denver Mattress company might be the right one of you. In this article, we’re going to review all the Denver Mattress Doctor’s Choice variations to give you a better idea of whether they’re suited to you or your partner. The Denver mattress comes in a range of styles and customizations, so it’s important to make sure you take a look at all of them before deciding. Purchasing a mattress is a large investment, so it’s important to consider everything before you make any decisions. Should I Buy the Denver Mattress? 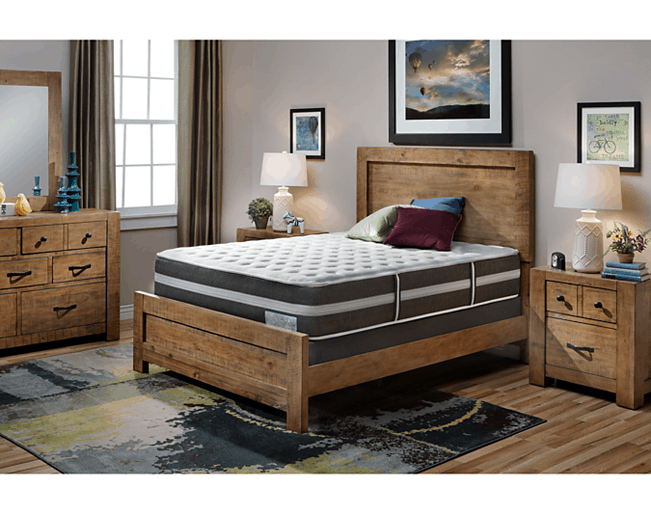 The construction of the Denver Mattress depends on the mattress that you purchase – there are different versions that are suited to different types of sleepers. Most of the Denver mattresses are designed with comfort in mind – many do not have high levels of support. In this section of the article, we’ll take a look at all the different materials used to build Denver mattresses. Most Denver Mattresses are built using a combination of steel coils, memory foams, and other foams. We’ll dissect each mattress layer by layer – check it out below! Each version of the Doctor’s Choice Denver mattress has a range of different layers. No one mattress is the same at Denver – make sure to take into consideration how each of these mattresses are built. Below we explore the mattresses and the individual layers involved with production. Denver mattresses don’t typically come with covers. The mattress is concealed by the outer layers – unlike most foam mattresses, a cover is not needed to keep the mattress together. 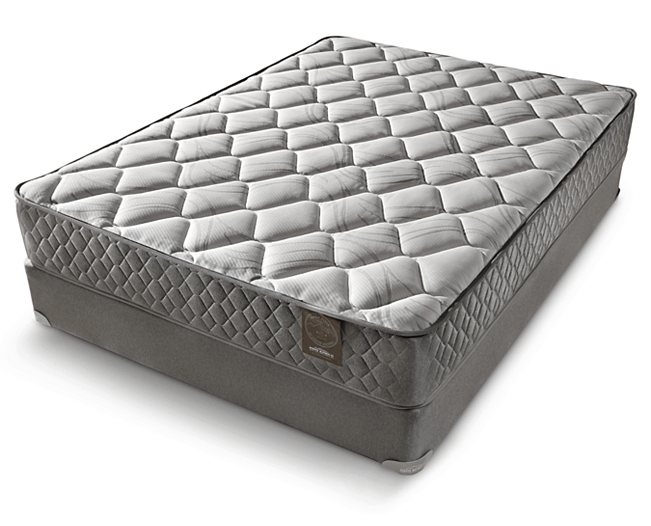 Denver uses the top quilt layer as the point of contact between you and the mattress. Should you want to purchase your own cover, you may do so – though this might increase the heat retention in the mattress. You can talk about technicalities as much as you want, but at the end of the day, it all comes down to how the mattress feels. You’re never going to a buy a mattress that isn’t comfortable – so you need to be sure that you’re going to get a good night’s sleep on the mattress you purchase. Overall, the Doctor’s Choice Denver Mattress does not provide a lot of support – it prioritizes comfort over support. But the amount of support you get will depend on the variation of mattress that you purchase. All of the Denver Mattresses are very comfortable – they give you the impression that you’re sleeping on a truly luxurious mattress. 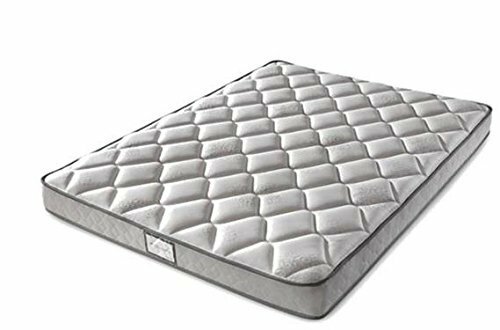 You won’t be disappointed with the contour or hug that the mattress provides you – it’s an excellent choice if you’re looking to take advantage of the various foams now available in the mattress industry. As you can see, there is quite a variation in the support levels of each mattress. This being said, there are no extremely supportive mattresses. If you’re someone who is very overweight, the Denver Mattress is probably not the best option for you. Even the ‘Firm’ mattress doesn’t provide the level of support you will probably need. Unlike many new foam mattress makers in the United States, Denver Mattress has been around for a long time. The company first starting producing mattresses in the 1980s. At first, Denver Mattresses were actually just water beds – there was a craze for these beds at the time, and demand had skyrocketed. But the company then began to produce regular mattresses and has evolved their offerings over the years. It wasn’t until 1995 that the modern Denver Mattress company really took form – they now use a range of foams and springs to bring the most comfort possible to their customers. There is not a great degree of sinkage on any of the models if you’re someone who is not overweight. If you’re over 230 lbs., you will find that the mattresses will sink to extreme levels. For those who aren’t, the sinkage level typically rests between 1” and 2”, depending on the model that you purchase. As you can probably tell, there is some serious competition in the online mattress industry. With more and more companies entering the market every year, it’s getting harder to choose which mattress is right for you. While you’re spoiled for choice, this can make it a much more difficult decision. Sometimes the only thing that seems to differentiate a mattress is the additional features that come along with it. Each mattress company includes a range of different add-ons and benefits to make purchasing their mattress more attractive. These features can often be extremely crucial – they may include warranties or other important benefits. 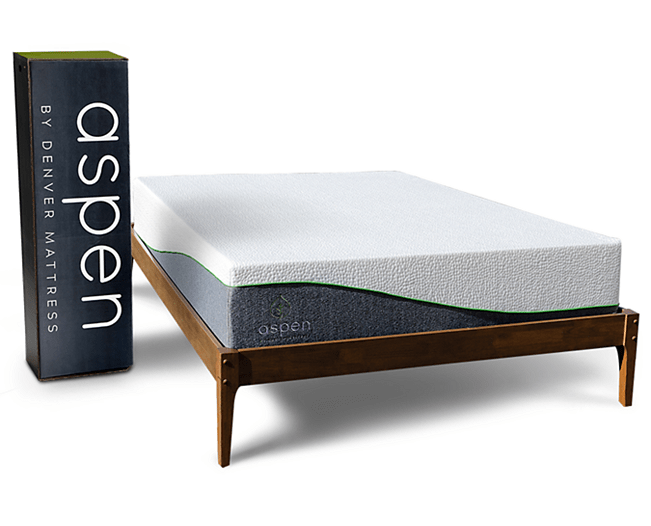 In this section of the article, we’ll take a look at all the added features that Denver provides with their mattresses. It may help you better determine if a Denver mattress is right for you. Read on! With all Denver Mattress products, you’ll find that they include a 15-year warranty. If you have any problems with your mattress or the materials included with the mattress, they will be repaired completely free of charge. The only downside is that you have to pay for shipping and delivery, which can add up if you’re far away from one of their service centers. Denver offers a great trial for their mattresses – you don’t have to worry if you end up not liking the mattress, you can simply return it. The only problem is that the sleep trial is a bit complicated, so you need to be sure you’re aware of the stipulations. Denver requests that you try the mattress for at least 30 days – they don’t accept returns during this time period. After the initial 30 days, you have three months to return the mattress for a full refund (day 31 to 120). After this time period, you have another four months to return the mattress for a 75 percent credit to exchange the mattress for another of their products. The next four months allows for a 50 percent credit to exchange the mattress for another product. In total, there are 365 trial days – just make sure you’re aware of the different time periods. Often modern consumer goods are made outside of the country. If you’re someone who aims to support American manufacturing, it’s nice to know that Denver Mattress makes all their mattresses in the United States. You’re supporting local workers and businesses by purchasing a Denver mattress. Many modern mattress companies reduce costs by having exclusively online stores. While this does keep costs down, it also means that you’re shooting in the dark when you’re trying to purchase a new mattress. Free trial periods are great, but it’s still nice to know what you’re getting before you buy it. One of the best things that Denver has to offer is showrooms. You can go to one of their stores and try out one of their mattresses. It’s a surefire way to ensure you know what you’re getting. You’ll need to look up to see if they have any nearby showrooms – they’re not present in every city in the country. The delivery options at Denver Mattress are not as good as with some other e-commerce competitors. While many online mattress companies provide free shipping to their customers, shipping a Denver mattress can cost hundreds of dollars. The smart way to ship a Denver mattress is to request it to be shipped to one of their showrooms. If you do this and pick it up from the showroom yourself, you won’t have to pay anything for shipping. If you don’t live near a Denver Mattress showroom, the shipping costs are very high – make sure to factor this into any decision you make. You can also finance a Denver Mattress directly through their company. You can find more information on their financing terms by heading directly to their website. The answer to this question depends on the type of sleeper you are, as well as the features you’re looking for in a mattress. The great thing about Denver Mattress is the variety of options that you have. Many emerging mattress producers only have one or two variations of their mattresses – this means their primary option must suit you perfectly. With Denver Mattress, you can choose between a range of different construction methods and support levels. Denver Mattress puts comfort at the top of their agenda – you can expect a mattress as comfortable as many high-end luxury mattress brands. Denver Mattress takes advantage of a range of foams and coils – it’s a hybrid mattress with everything to offer. While there are plenty of great features included with the Denver mattress, the fact that you have to pay for your own shipping is a real downer. The mattress is also quite expensive compared to some online competitors. In addition, you’ll have to pay for you own shipping and handling if your mattress has a problem within the warranty period. All this being said, Denver Mattress is a great brand with a seriously good reputation. 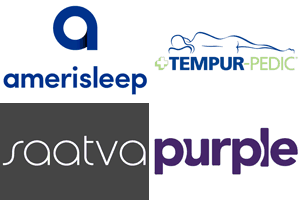 The company has been helping tens of thousands of people sleep for over the past 30 years. They also have an excellent rating with consumer watchdog groups!